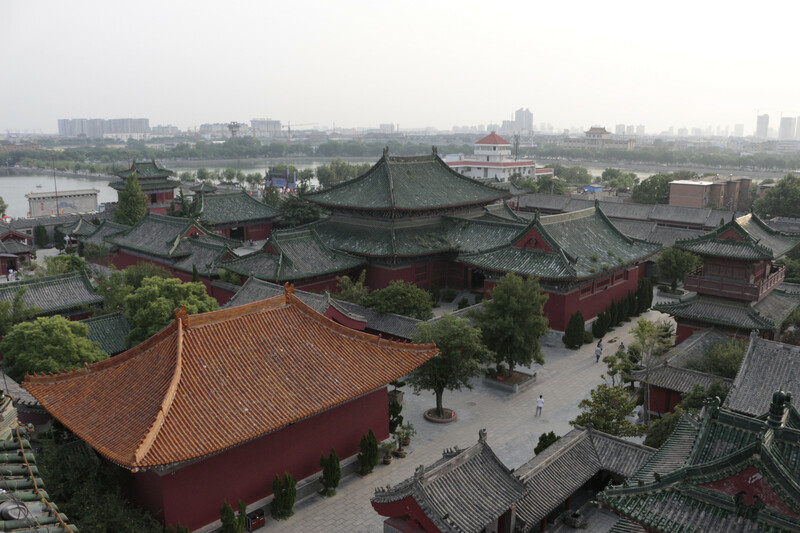 Kaifeng City, previously the capital of the Henan Province of China, has the distinction of being the capital of eight Chinese dynasties over the centuries. 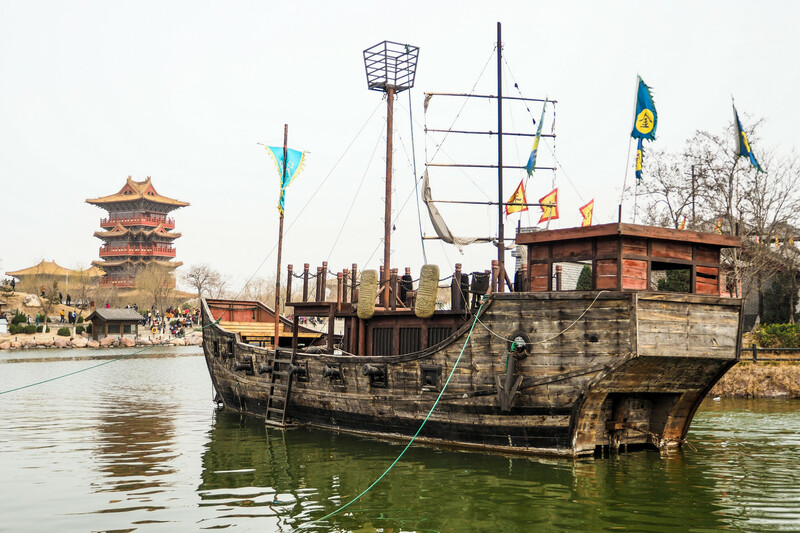 Marco Polo, the world famous explorer of ancient times visited Kaifeng City during his travels. The overseas trade that was carried out over many centuries led to the immigration of countless Persian and Arabian people. 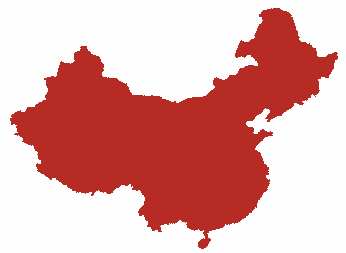 They settled down in Kaifeng and formed their own ethnic group called the Hui. There is also a large presence of Jews in the city who have immigrated gradually over the centuries. These nationalities coexist peacefully along with the local Han Chinese. The beautiful landscape, religious tolerance, a pleasant climate, and plenty of attractions have made the city an appealing tourist destination. 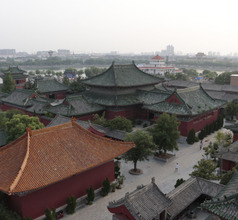 At the time of the Song Dynasty, Kaifeng was one of the most prosperous cities in China. 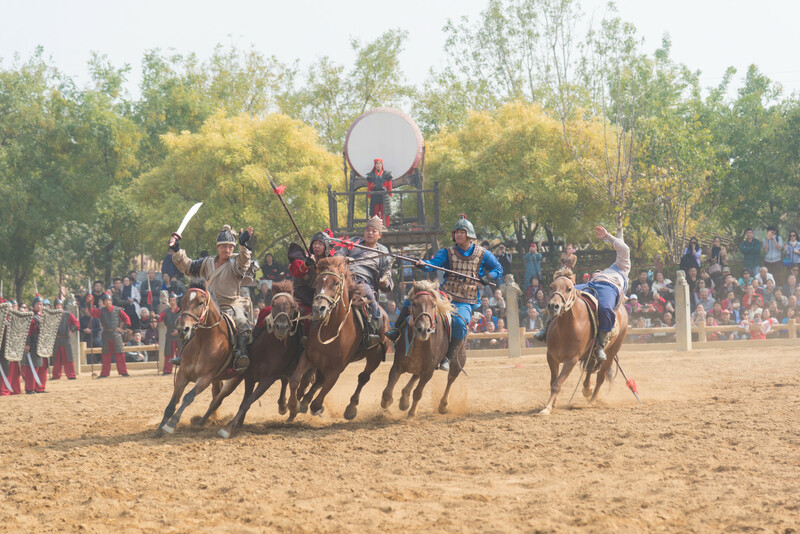 It was a major military stronghold, and a powerful political, cultural, and economic center during the North Song Dynasty. With eight dynasties ruling in the region at different times, the people have constructed fortifications and ramparts around the city that still exist and give the city a beautiful old-world look. 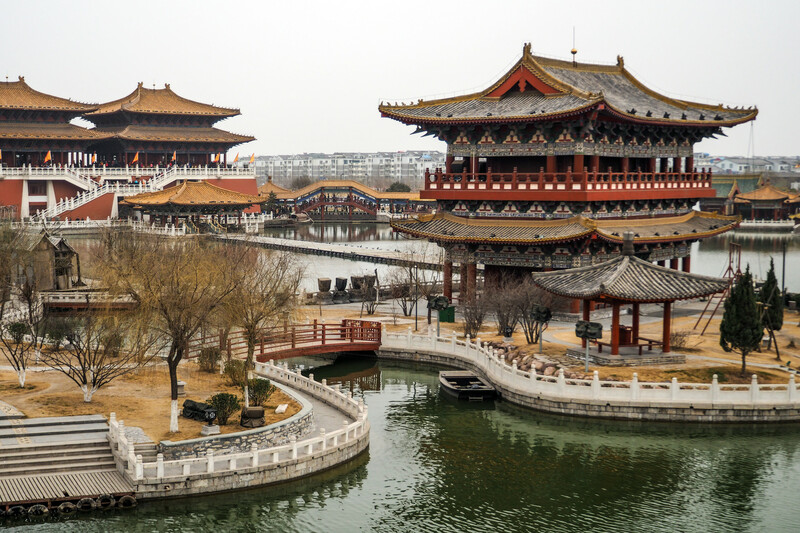 Kaifeng is a shopper’s paradise because it has several shopping streets and markets. The Shidun Street Market is well-known for apparel, cosmetics, accessories, and kitchenware. The best souvenirs are available on Song Street. While the ideal place to shop for cheap electronics is on Ziyou Road near the Daxiangguo Temple. 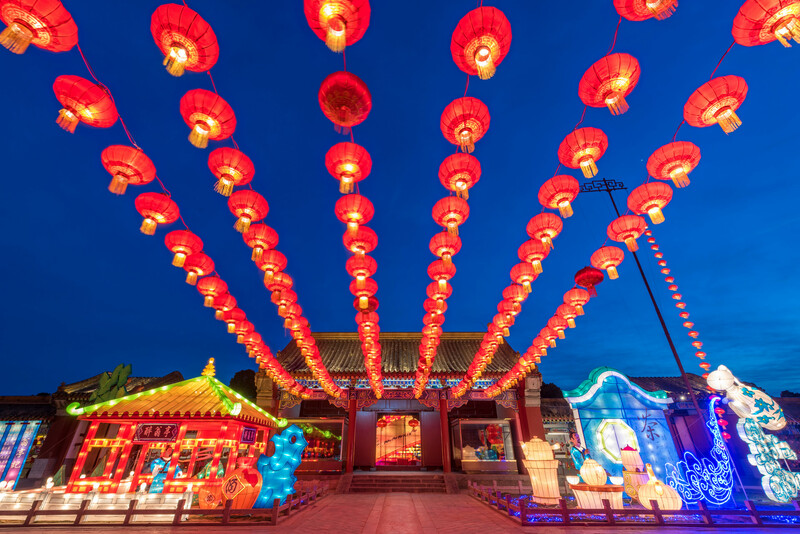 Other places that make Kaifeng an interesting city are the numerous Karaoke bars, discotheques, and billiard rooms which are frequented by expats and tourists. 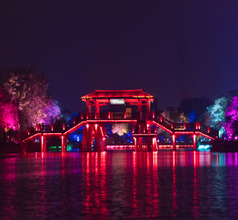 Kaifeng City is a hotspot for domestic and overseas tourist who come here throughout the year. Accommodation is available in the form of luxury villa resorts, star hotels, budget hotels, as well as low-priced inns. The rooms are generally clean but the ambience and amenities will depend on whether it is a luxurious hotel or a basic one. Some of the hotels provide in-house restaurants serving International cuisine, 24x7 coffee shops, convenience stores, airport shuttle service, in-room dining, and even arrange customized sightseeing tours. The English language may be a problem in the budget hotels so it is best to carry an English-Chinese dictionary. 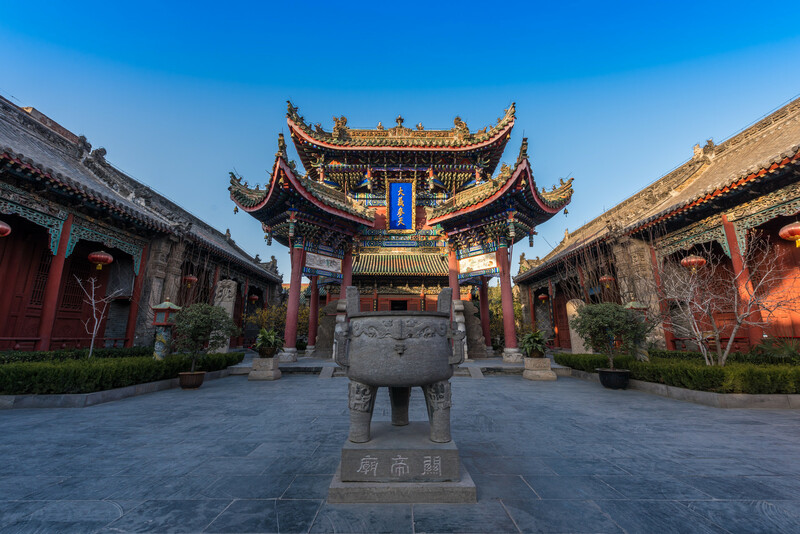 Built during the Qi Dynasty reign in the year 555 AD, the Daxiangguo Temple is a vast complex of 64 temples. Of these, there are three main halls that are frequented by devotees and tourists. The highlight of this temple is the 4D wooden statue of Avalokitesvara with 1,000 arms which was carved out of a single tree. One of the arms holds the idol of the Buddha. 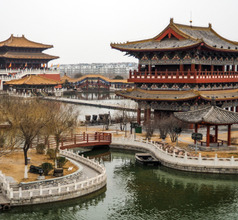 Other Buddhist temples that are popular tourist attractions are the Yanqing Taoist Temple and the 11th-century Iron Pagoda with an adjoining lake. 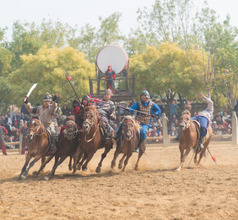 There are various other tourist attractions in Kaifeng City that do not have any religious significance. One such place is the Shudian Jie (Bookstore Street) with its Ming Dynasty wooden buildings lined with shops selling books, and handcrafted pens and paper. 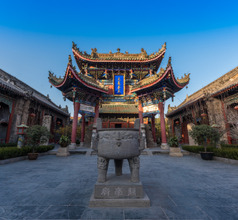 The Kaifeng Museum, Cooking Museum, Kaifeng Jewish History Memorial Center, and the Yellow River Scenic Area are some of the must-sees too. 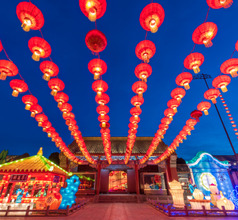 The Dragon Pavilion is a Ming-style palace that was one of the residences of Prince Zhou. 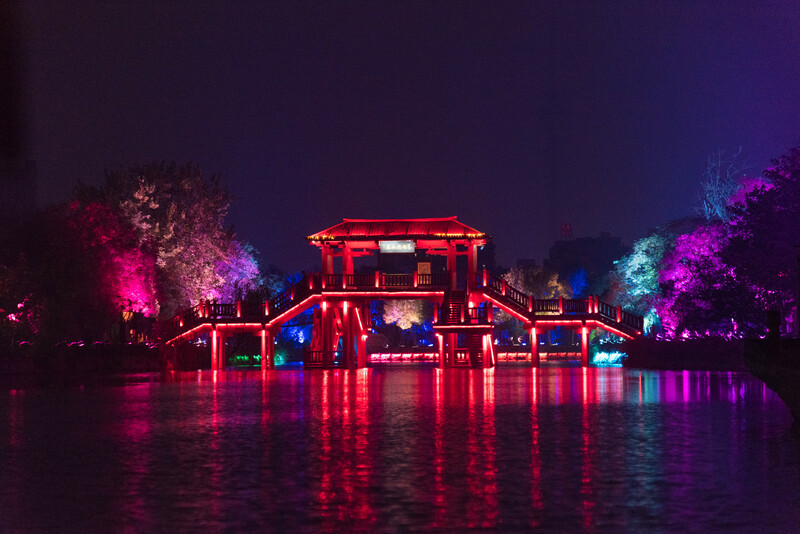 Alongside is the picturesque Yangjia Lake and an ancient bridge that leads into the gardens of the Dragon Pavilion. 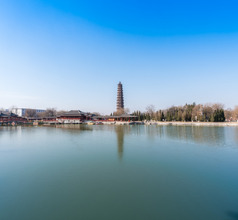 On the banks of the Baogong Lake is the Baogong Memorial Temple that was constructed in honor of Lord Bao, a respected nobleman of the Northern Song Dynasty. 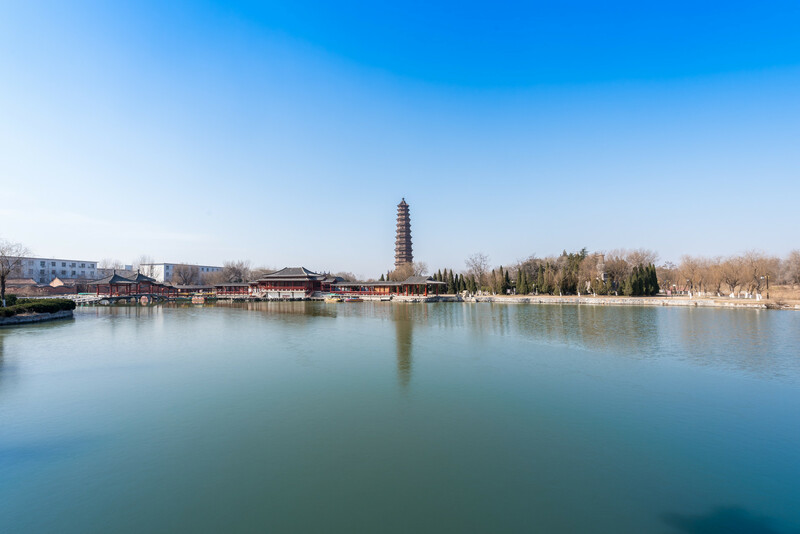 Kaifeng City is also known for its parks that not only have aesthetically designed landscape but also have various entertainment facilities for visitors. 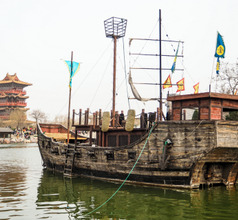 The Kaifeng Tourist Theme Park on the Baogong Lake is one such attraction. It has a tall 8-storied pagoda and the top floor provide the best vantage point for clicking pictures of the beautiful city and its surroundings. The Chrysanthemum Festival hosted in October each year in the Millennium Park is a memorable experience. Despite the fact that the city is modern and has many western-style restaurants serving burgers and pizzas, the food in the Kaifeng Night Market is considered the most delicious in the Henan Province. There are various must-try dishes like the bucket chicken, fried yogurt, fried spicy bean jelly, mutton skewers (grilled kebabs), assorted skewers, stuffed steamed dumplings, sweet potato fries, grilled or fried cicada, peanut cake, sesame cake, etc.